At RGB cleaning, we know that all odours are different – we make it our personal mission to detect and eradicate odours from start to finish. Our specialist cleaning knowledge means that we are fully equipped to deal with the source of odours – rather than just masking them with perfumey scents. Our services mean that we are more than capable of eradicating tough and longstanding odours – in domestic and commercial properties. RGB cleaning have a wealth of experience in removing a number of nuisance smells – particularly smoke, pet odours, waste and food smells. 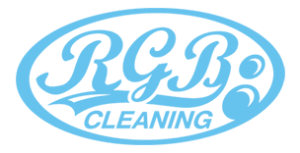 At RGB cleaning – we are flexible and adaptable – meaning that we can cover a wide range of properties, from single rooms, to whole houses, to much larger commercial properties. We’ll ensure that lingering smells are fully dispersed – and we also appreciate that the cause of odours is often bacteria related – thus making the issue more serious and requiring a deep cleanse – something that RGB are fully equipped to handle.